Summer is here - what is on your reading list? Whether you read a physical book or prefer to listen here are a few of my recent favorites. Audio books have been my go to recently. I listen in the car. I listen on walks. I listen while mowing the lawn. I listen while making hippie goodies. I find I am a more voracious 'reader' when I can listen to my books. Most of my recent listens have been 'self help' kinda books with a few memoirs and fiction books just for good measure. 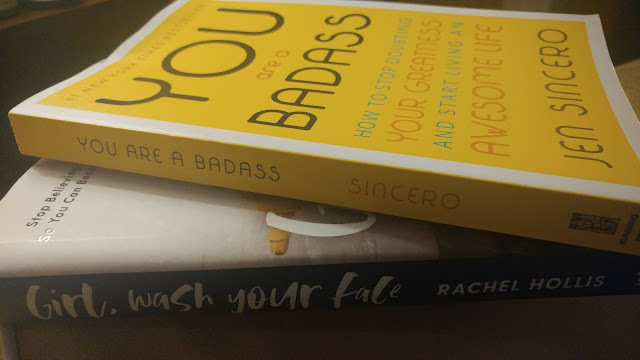 Right now I am listening to Girl, Wash Your Face by Rachel Hollis and Daring Greatly by Brené Brown. Both are SOOOO GOOOOOOD! I actually have the hardcover version of Girl, Wash Your Face as well and it is one of the few book books that I have actively read recently. It is well written and engaging and while I skipped a chapter or two that do not directly relate to who I am, I find it engaging and so full of truths it almost hurts. My highlighter is going dry with all of nuggets I am pulling out for later. 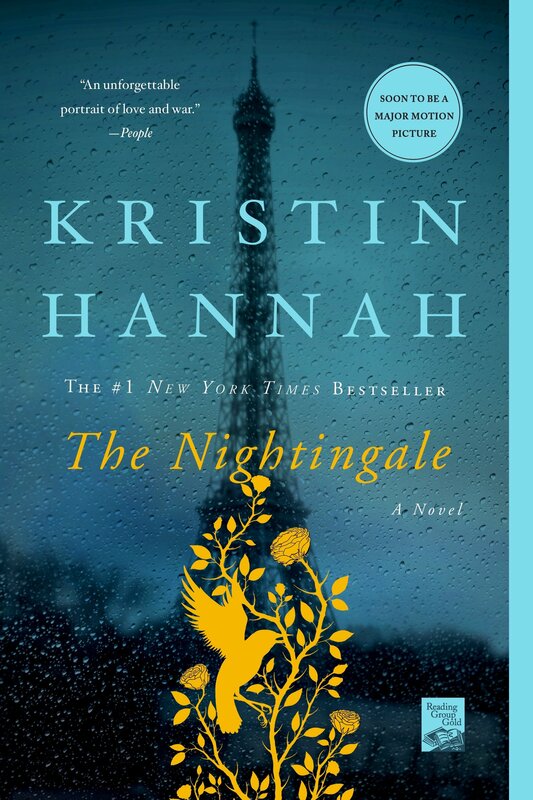 My last fiction was The Nightingale by Kristin Hannah. OMG. OOOOOHHHHEEEEMMMMMGGGGGEEEEE! How have I not read this one before? What a story. I was sucked in from the beginning and I couldn't get enough of it. I hear it is being made into a movie. I will need tissues. All of the tissues. If you haven't yet - you need to now! Self help books need to be read by the author and I have stopped listening to several because they weren't. I feel the author can give these books a life that another reader cannot. Fiction books should NOT be read by the author. LOL. The Nightingale and the Harry Potter series are both so exquisitely read that you can see the characters in your mind. I will stop listening if I don't like the person reading the book - it could be the voice or the diction or the cadence I am sure I have missed out on some good ones just because of this. The one exception...The Princess Diarist written and read by Carrie Fisher. I love Carrie Fisher, but I didn't care for her voice later in life. She sounded like her dentures were loose and she had just smoked three packs of cigarettes. When I find books that I love I then ask for physical copies so I can mark them all up for the awesomeness they provide.